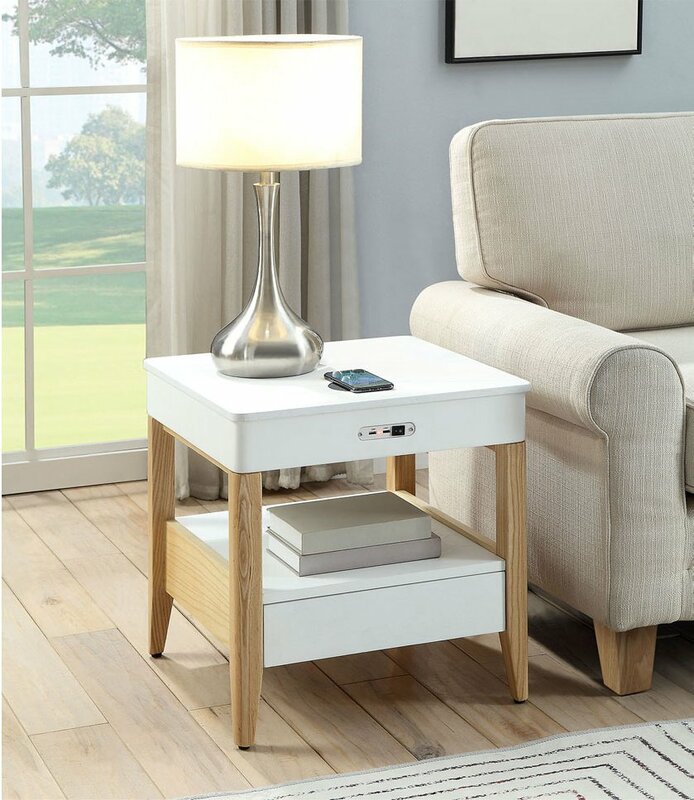 The JF401 San Francisco bedside/lamp table brings together a traditional piece of furniture with contemporary design and the millennial lifestyle of today. 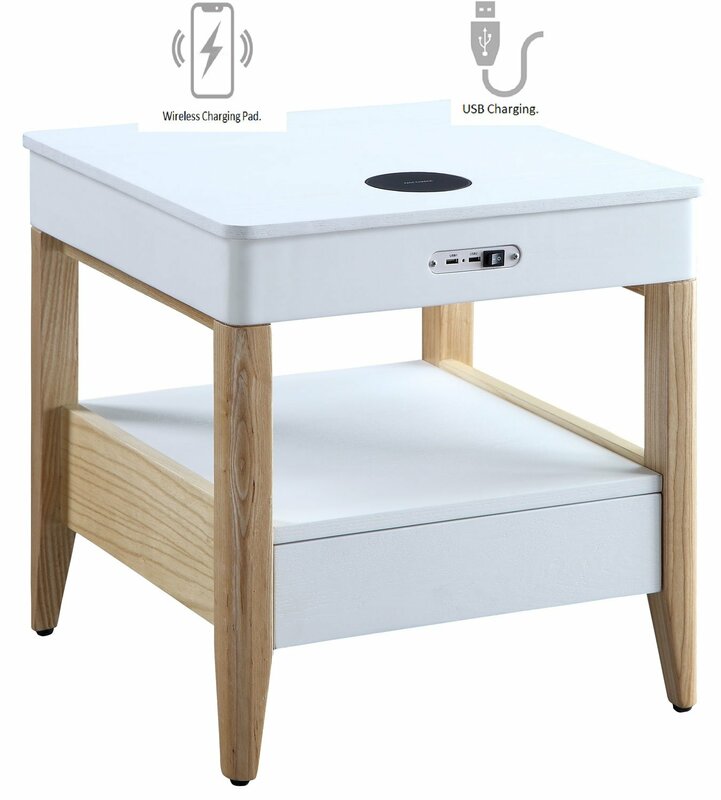 Complete with wireless charger and USB ports this table is not only a beautiful piece of furniture but also allows users to charge their mobile devices in the most convenient of places. Either right next to your bed or sofa. 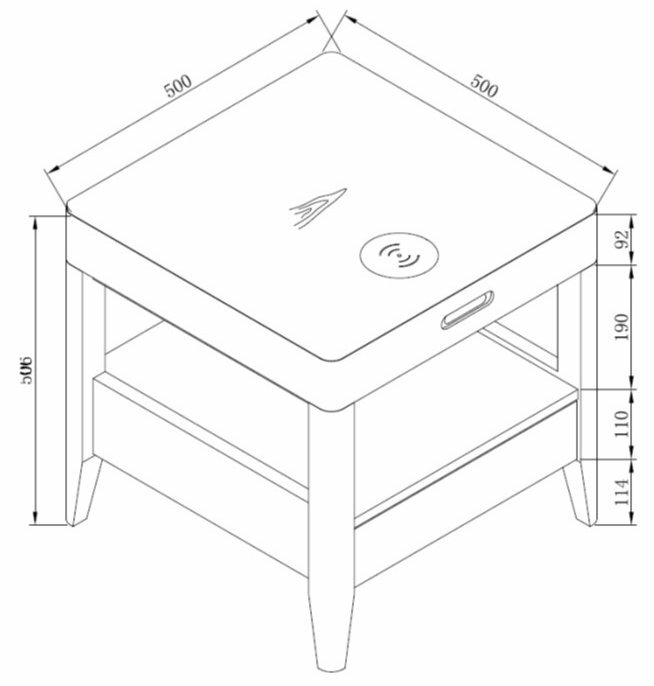 The JF401 is finished in modern white ash with solid ash supports. 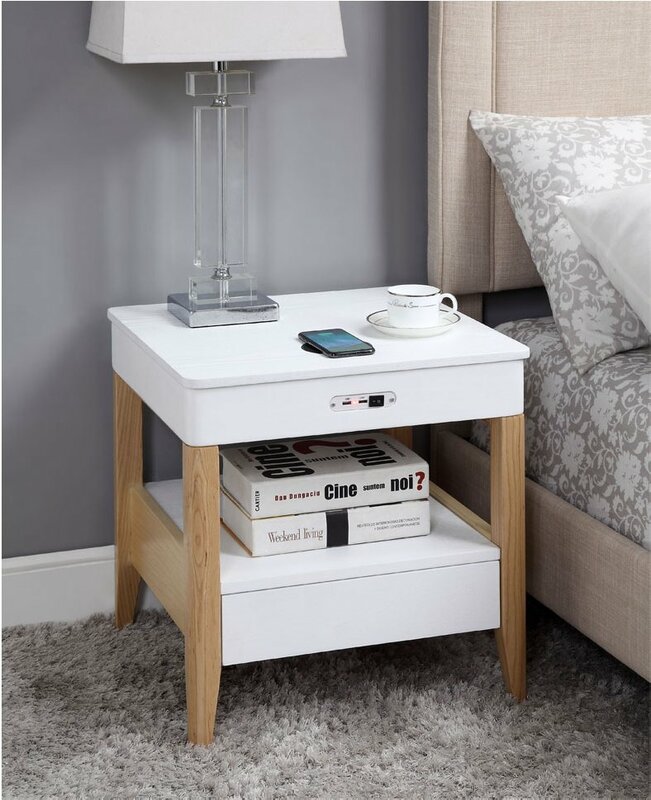 The storage drawer at the bottom is the perfect place to store books, tablets, remotes etc. 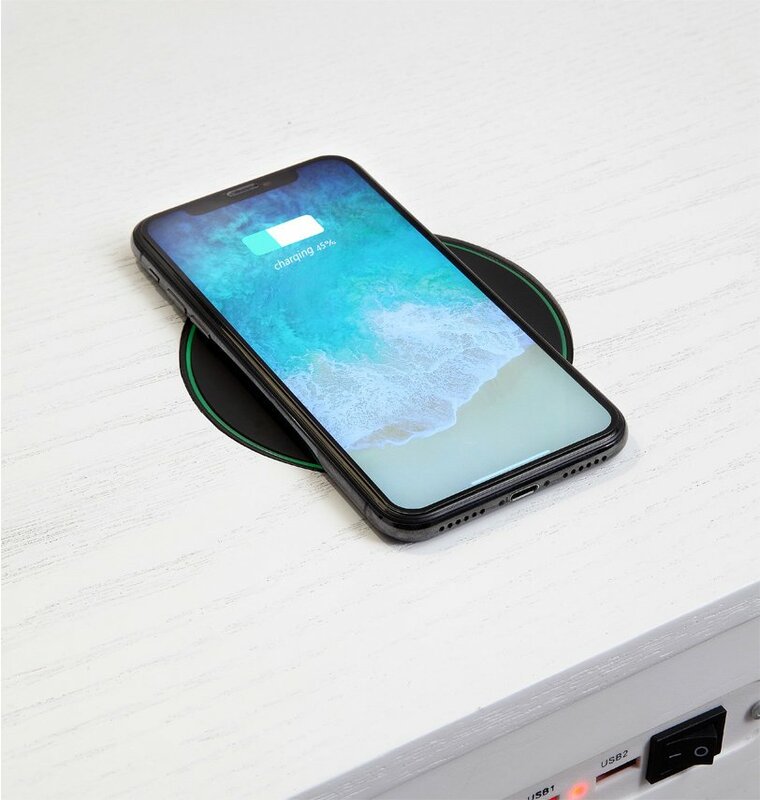 Wireless Charging Features CE Certified | RoSH Certified | Qi Standard | Temperature Control | Electromagnetic Shield | Short Circuit Protection | Overcharge Protection |8mm Charging Distance | Fast Charge.